“Money should work for you” To be rich you need to think like the rich. Don’t work for money; make money work for you. That is how the rich think. M. G. Roberts About This Book M.G. Roberts challenges the status quo on the “buy and hold” method and adopts a different concept. His research contained in “Discovering The Pattern” looks at various industries to identify seasonal patterns. It features an easy-to-use, step-by-step instructions on which weeks to buy-in and which weeks to sell-out that will outperform the market sector over time. In this book you will learn to: Incorporate the power of compounding into your portfolio. Many investors still apply the traditional “buy and hold” strategy, but this lacks the power of compounding. Learn how to apply compounding to your portfolio. Protect your assets from market corrections! Yearly market corrections is a common occurrence that happens regularly without warning and in a few weeks an individual could suffer a loss of up to 15%. Learn ways of reducing the impact of seasonal corrections without you having to watch it every day. Take advantage of huge market swings! People who adopt the “buy and hold” method, often get stuck in positions for years when economic recession hits and then must wait for years just for the market to go back to what they bought it at making zero return. These market corrections have a swing of 40-60%. What if you were able to sell out before the market completely crashes, then buy back in when it hits rock bottom? Then you will be making money on the rise, while others are just waiting for their portfolios to recover. Takes away the emotion of Trading. Greed and fear affects even the best of traders. 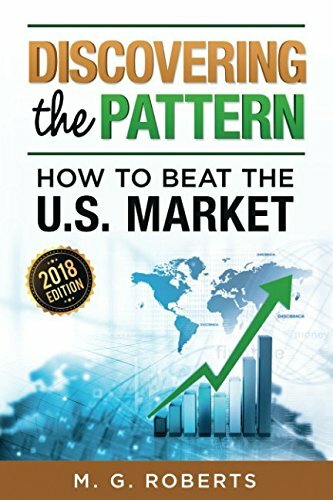 “Discovering The Pattern” shows when best to buy and sell over the year. If you stick to the schedule, it removes the irrational and impulsive trading that other traders fall into. Avoid investing in a few high-risk firms. Buying into ETF’s instead of putting all your money into just a handful of companies is a great way of reducing risk. “Discovering The Pattern” shows you ETF’s of various sectors so you can build a less volatile consistent portfolio.